Thanva Tivawong, a Thai designer, created a new LED hourglass design for traffic lights. 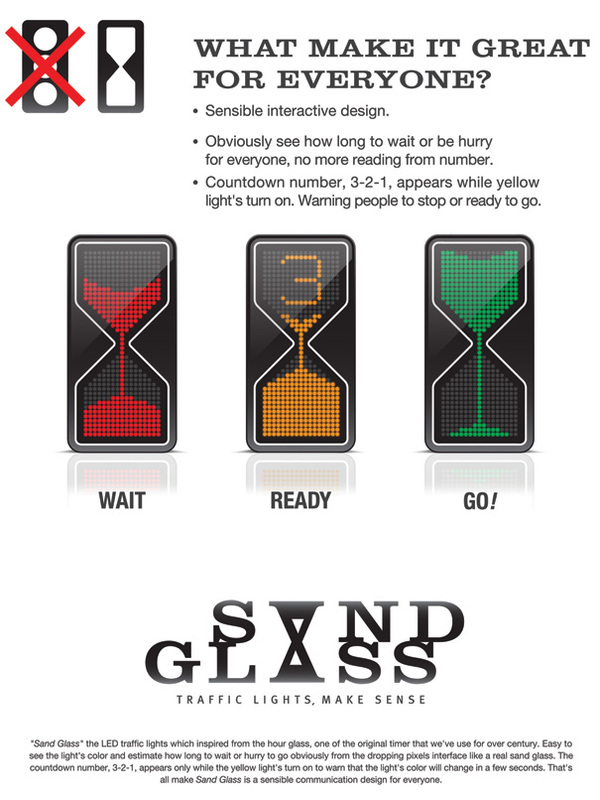 Based on the same basic concept of worldwide traffic lights, this new design project entitled “Sand Glass” uses a more time-detailed approach. Do you like “Sand Glass”? Is there any negative factors related to the hourglass design you would think about? feel free to post a comment!